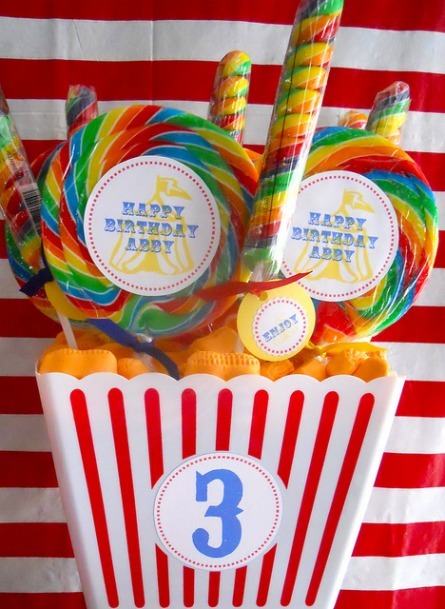 Circus Party - Themed birthday parties are absolutely it! Children love them! 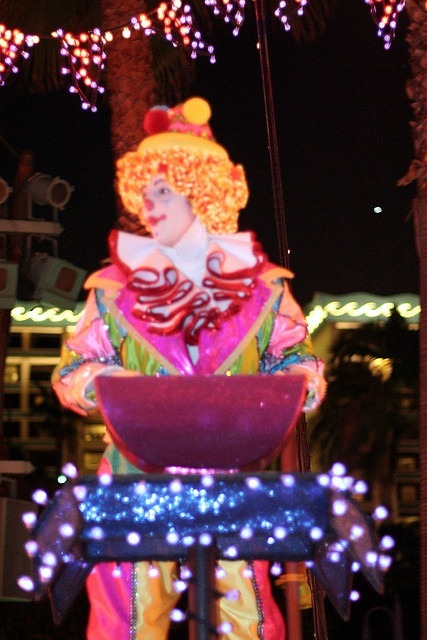 What better theme is there than a circus theme party? It can be for a boy or a girl. It can be as small as you want or as large. But, everything must look like it belongs at a real circus. All the circus theme party supplies must scream "CIRCUS"! Where does all this start? 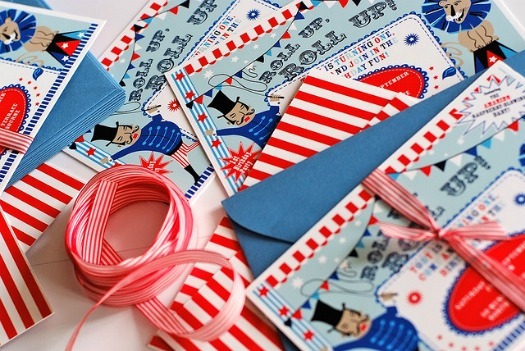 Make sure that your circus birthday party invitations are age appropriate for the children who will be attending the party. Usually circus birthday parties are too childish for children over the age of 12. You should send them out at least 2 weeks before the party. 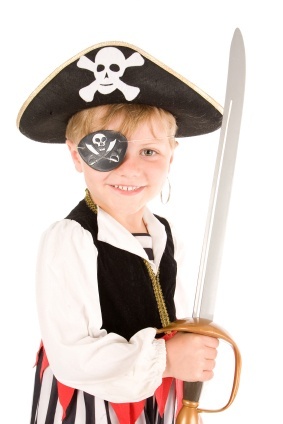 If you want the children to come dressed as a circus star, be sure to give the parents ample notice to get their child's costume. Don't forget to add any circus type entertainment that you can. If you would like to have a live act, such as a magician, or a clown, you will need to book them at least a month or two in advance. 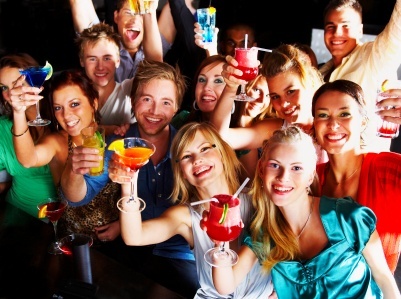 Children's parties are generally on Saturdays, and they book up, fast. 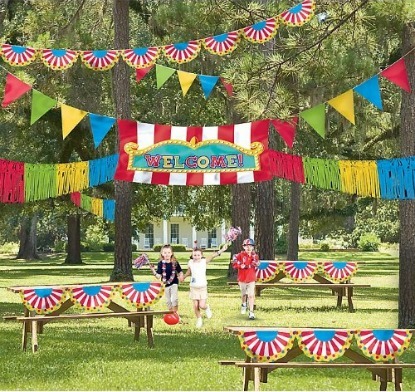 Also, the circus theme is a popular one and all your circus party supplies may disappear from the party stores. It is a good idea to purchase all your circus themed items at one time. Think ahead. Plan ahead. You'll be glad you did. Favors - horns, rattles, etc. Order the circus cake or cupcakes at least 1 week before your circus theme party. Be sure to relate to the cake decorator that you are having a circus themed birthday party. 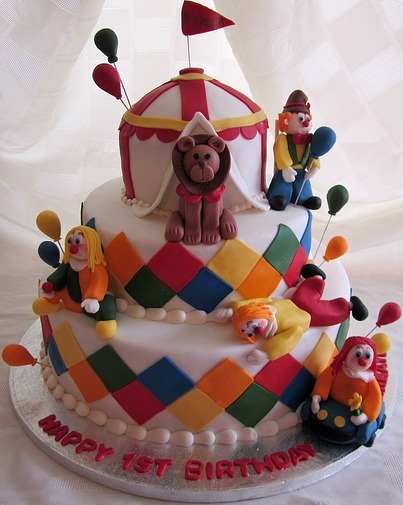 It should be no problem for any baker to accommodate your request for the circus theme. Purchase your punch or supplies to make it. A good suggestion is to check with your party store for ice trays in animal shapes. Punch is more exciting when there are animals floating in it. Popcorn, cotton candy, lollipops, snow cones could be a fun addition to the theme and can be featured as favors, centerpieces or as part of the decoration. Your child's circus theme party will be the talk of the neighborhood if you go to extremes and have pony rides or a bounce house. 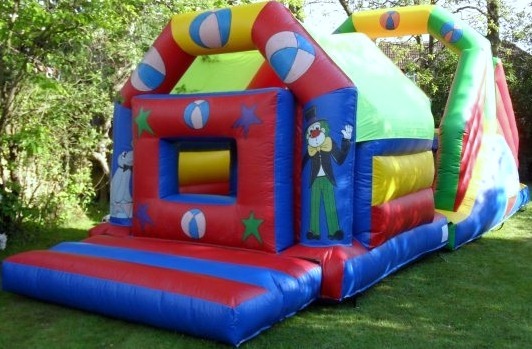 These things can always maintain the circus birthday party theme and the children will be active with things to do. As always, please be sure that there are enough parents to supervise the children. So, go for it! 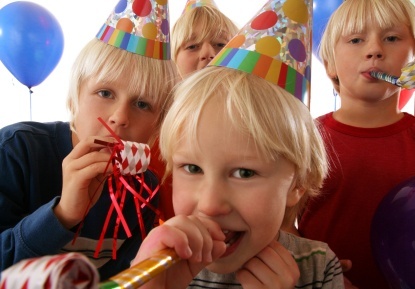 You can plan for and have a great circus party. Who knows? Maybe the parents will have fun, too.